While some of the products I review on my site are furnished for the purpose of review all of my reviews are truthful, honest, and my sincere opinion. 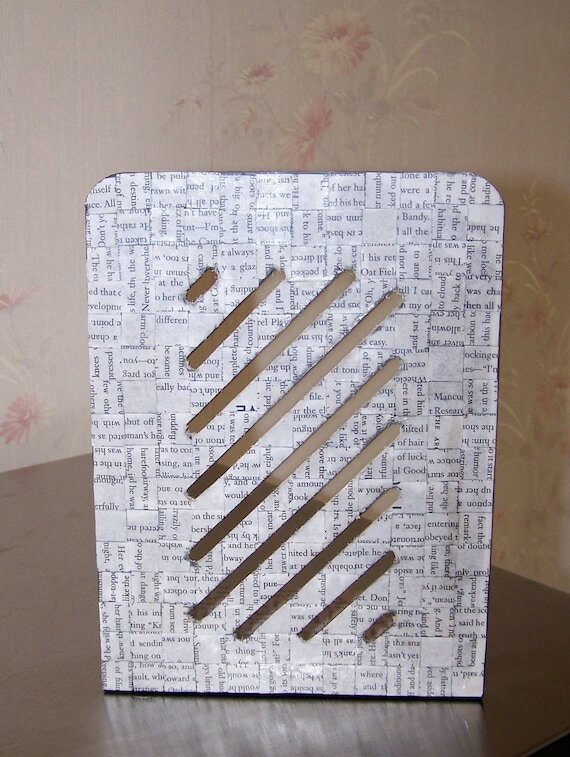 I'm so excited about the move - I have so many awesome ideas that I want to incorporate with the new blog. The new blog is a combination of Just Jennifer Talking and Just Jennifer Reading. So I hope you'll come over and check it out. I've got TONS of giveaways going on, I'm working on some new product reviews, and I'm starting to do movie reviews too. It's exciting and kind of scary all at the same time. There's also a new Facebook Page and a new Twitter account associated with the new blog. So if that's how you follow please make sure to follow the new accounts too! I hope to see you over a Just Jennifer soon. Mom Blog Society Presents the KitchenAid Classic Stand Mixer Giveaway Event! They are the family with their priorities straight (and that's a direct quote from them). Their #1 priority is rewarding American families for the things you do everyday because they think you deserve it! You can play games, print recipes, take quizzes, share stuff with friends and earn points while you're doing it! With your points you can enter for prizes like gift cards, electronics and so much more! Even when you enter the sweepstakes you earn more points, yes seriously you earn points for entering for prizes, wow! It's free to join American Family and if you sign up to join them through this event you will also receive a free e-book filled with yummy Summer Dessert recipes! This KitchenAid Classic Plus 4.5Q stand mixer in white. Like so many have you ever wanted a KitchenAid stand mixer? Well now is your chance to enter to win one of your very own! Locking tilt-head design offers easy access to the bowl and beaters. 10-speed slide control provides a range of mixing options. Enter now for your chance at this fabulous KitchenAid stand mixer and join American Family, have fun, earn points and prizes what more could you ask for? No entries are mandatory however the more you do the better your chances of winning. I haven't tried Drink Chia, but having worked in a vitamin store I do understand the benefits of Omega-3. So I'd be interested in trying this. Plus there's some swag for you too :-) Disclaimer: Just Jennifer Talking has not tried this product, the review below does not represent my opinion. Also this review is in no way intended to diagnose or treat any medical conditions. Before trying this product please speak with a healthcare professional. We are guided by the relentless focus to inspire people to be engaged in their health, try new things, seek adventure, and be active in their communities. 2. To get out and make things happen, to do something productive and meaningful, to make a difference. Be active, be mindful of your health, your family, and the world around you! I want to say my husband was very surprised over the Drink Chia. At fist my husband crinkled his nose up and was like oh boy this isn't going to taste good but as soon as he took a sip he smiled and was said "Wow this is really good." My husband drank the bottle before work and called me on his first break saying that he felt really good and liked the way the Chia drink made him feel. On the forth day of drinking Chia he was in a better mood at work and he felt a little more energized in the morning. Now this week he is grumpy and you can tell so I went and ordered more for him. I wish they sold this in health stores buy me. 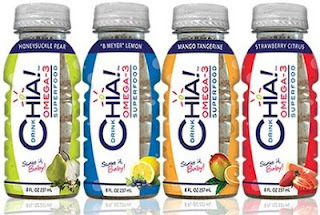 Now for the giveaway: One lucky person will win a Drink Chia Prize pack ( 1 of bottle of each flavor & a T-shirt). This is open to US & World Wide and ends 8/09/12 @ 11:59 pm est. To enter, simply do the tasks on the Rafflecopter widget below and you're set to have a chance to win! Dispatched by his boss to an isolated seaside village to tie up a recently deceased client's affairs, a young London lawyer finds himself in a community grappling with dark secrets -- and a haunting presence with a sinister agenda. My fear with this one is that Daniel Radcliffe wouldn't be able to convince me he wasn't Harry Potter. How wrong I was! The character he plays is such a departure from Harry Potter that I didn't even think about it after the first 10 minuets or so. I also have to say that Mr. Radcliffe is such a great actor. I never really paid much attention to the acting in Harry Potter - that wasn't what I watched those movies for anyway... But I think Radcliffe has really proven that he's a great actor with this one. This is one of the better "horror" movies that I've seen in a while. It used sound and light to create suspense, while the story was being built up. There were quite a few "jumpy" moments, which even though I was expecting them got me. My dog even woke up with a start twice. The story was pretty good. A young man must go to a village where he's unwelcome and while there he uncovers their secret. As he's putting the pieces of the puzzle together children in the village start dying. The young lawyer is trying to figure how all this connects together while he accepts the hospitality of one of the wealthy families in the village. The wife appears to be a bit crazy, but she does help put some fire into plot. The only reason this did not receive a 5 star rating was the ending. It wasn't a horrible ending, but I was expecting something different. After the puzzle is "figured out" I thought that would be the end. But the ending is much more sinister than I would have imagined. I would have to say despite the PG-13 rating that it shouldn't be watched by younger kids. I think I would have to say 15 or 16 rather than 13 as the appropriate age limit. There's some graphic scenes, although they aren't necessarily violent they are disturbing none the less. There's not much in the way of strong language, I honestly don't remember any but it could have just slipped my mind. 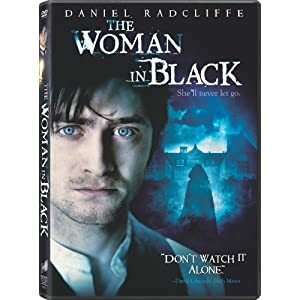 If you are interested in purchasing The Woman in Black please check it out in my Amazon Store. The Kindle Fire is open worldwide but the 2 Diamond Candles is restricted to the US only since they don't ship outside the US. Giveaway will run from July 25, 12:01am EST to August 15, 11:59pm EST. Good luck! Disclaimer: Just JenniferTalking is not responsible for prize shipment. This is such a nice set of pots and pans. I'm always on the lookout for a new set! This has almost every piece you could need. And it comes in pretty colors :-) So Good Luck! Thanks for checking it out! Welcome to the Michelle B Cookware Event! Michelle B. 10-Piece Induction Ready Forged Aluminum Cookware Set produced by Fagor America. Almost no other Miami chef has made as big a splash on the national culinary scene as Michelle Bernstein. A James Beard Award winner and author of Cuisine a Latina, diners are loving Bernstein's cuisine at her two successful South Florida restaurants: Michy's and Sra. Martinez, dubbed one of the Best New Restaurants in America of 2009 by Esquire Magazine. Michelle appeared on the Food Network to battle Bobby Flay on Iron Chef America, from which the Miami chef emerged victorious. Michelle continues to appear on national television shows, ranging from Top Chef and The Today Show to the Martha Stewart Show. This 14-piece Induction Ready Forged Aluminum Cookware Set includes: 1-1/2-inch-quart Sauce Pan with Tempered Glass Lid, 3-quart Sauce Pan with Tempered Glass Lid, 5-quart Stock Pot with Tempered Glass Lid, 11 4-quart Saute Pan with Tempered Glass Lid, 9-1/2-inch Fry Pan, 8-inch Fry Pan. One lucky winner will receive a complete Michelle B. 10-Piece Induction Ready Forged Aluminum Cookware Set. Giveaway ends August 6th at 11:59pm, open to US residents, ages 18+. To enter please use the Rafflecopter form below. Good luck! I'm so happy to have teamed up with some great bloggers to be able to bring you this awesome giveaway. Do you have a family full of eye glass wearers? It can be expensive to put frames on all those faces! Enter to win this giveaway and get glasses for the whole family! That's sure to save some $$. Check out what 39DollarGlasses.com has for sale! They sell eyeglasses and prescription sunglasses all starting at just $39 a pair! Now that is affordable! 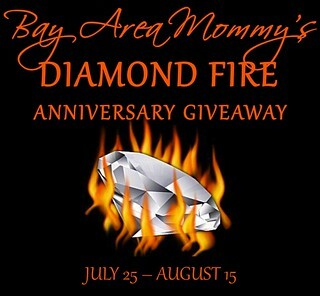 This giveaway will end on 8/13/12. Just Jennifer Talking is not responsible for the delivery of the prize to the winner. Good Luck! Just Jennifer Talking nor any of the other bloggers participating in this giveaway make any claims about these glasses that should be taken as medical advice. Let me know you've stopped by! Did you know that you can order your favorite candles without attending a home show? Did you know that you can host an online show to earn your favorite candles for free? Well you know now! Check out my Independent PartyLite Consultant website to see the current catalog, Online Outlet items, the monthly specials, and how to schedule your online show. If you place an order and mention that you found my consultant site through JustJenniferTalking in the comments I'll send you a box of tealtights! If you host and close a show in March I'll give you either of the hostess specials for free! Formula Mom: figuring out a formula for motherhood. Grocery Shopping Games & Challenges to Make It More Fun! Stacy’s Savings 2019 Weekly Savings Challenge Week 17! Bumblebee Movie, Toys & Recipe! What the four h !?! Apakah Whey Protein Tepat Untuk Anda? And I’m back! But not reviewing.